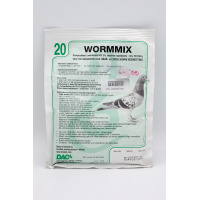 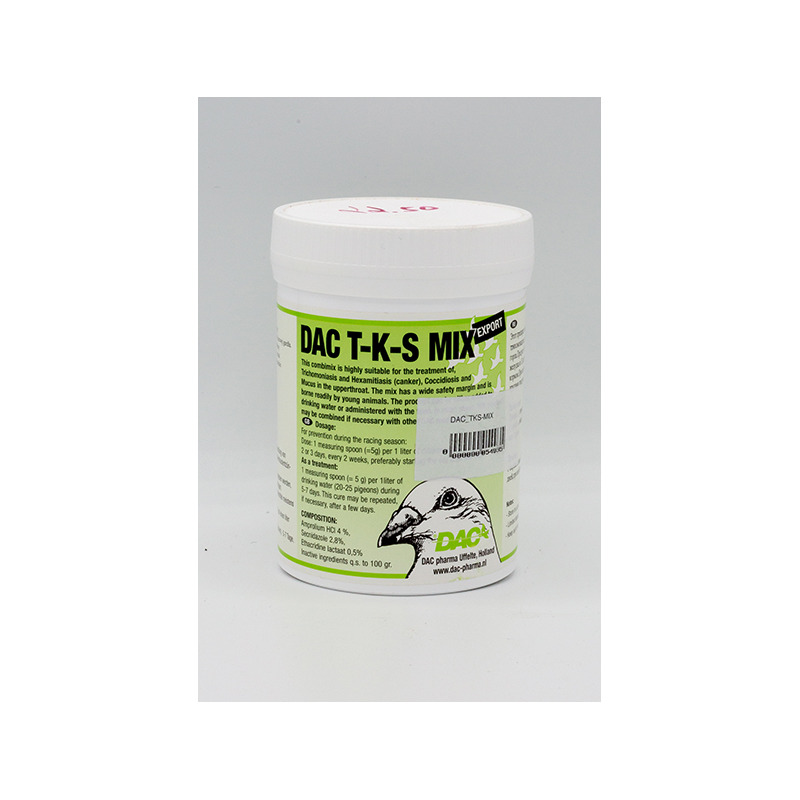 DAC T-K-S Mix by DAC 3 in 1 (Trichomoniasis, Coccidiosis and Hexamites) for racing pigeon & birds. 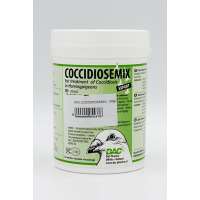 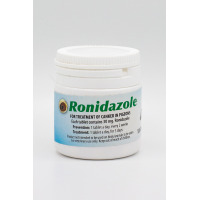 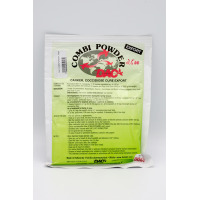 This combimix is highly suitable for the treatment of Trichomonades and Hexamites (canker), Coccidiosis and Mucus in the upperthroat. The mix has a wide safety margin and is suitable for young pigeons. 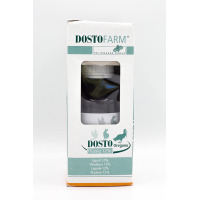 The product can be either added to drinking water or administered with the feed. 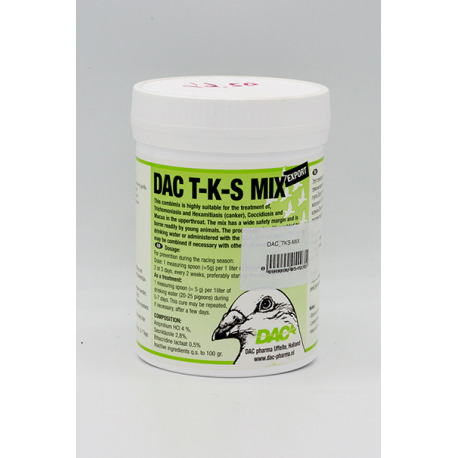 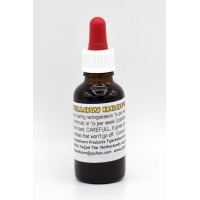 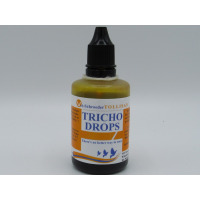 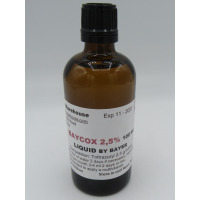 In most cases, this product may be combined if necessary with other DAC products. 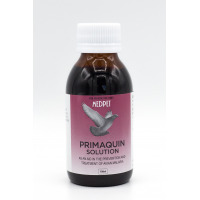 - For prevention during the racing season: 1 measuring spoon(5g) per 1 liter of drinking water(20-25 pigeons) 2 or 3 days, every 2 weeks, preferably starting the day after the race. 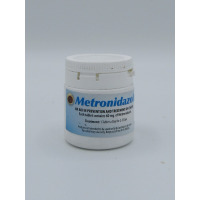 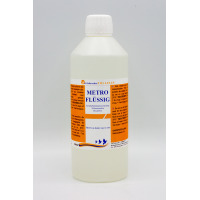 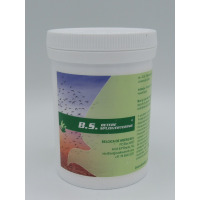 - As a treatment: 1 measuring spoon ( 5 g) per 1liter of drinking water (20-25 pigeons) during 5-7 days. 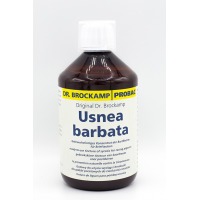 This cure may be repeated, if necessary, after a few days.